Nephi, Utah, located roughly 80 miles south of Salt Lake City, was first settled in the summer of 1851 as Salt Creek. Jacob G. Bigler, Sr. arrived in October 1852. This small cabin was where he lived and worked weaving cloth for trade. He later lived in Nauvoo, Illinois where he helped build the temple and became a close friend of Joseph Smith and his family. When other members of The Church Of Jesus Christ Of Latter-Day Saints made their journey westward across the plains, Bigler went along as far as Winter Quarters, Nebraska where he remained for a time. He moved next to Kanesville, Iowa before finally continuing on to the Salt Lake Valley in 1852. He was only in Salt Lake City for a month or so before moving on to Nephi where he resided until his death in 1907. There he contributed in many capacities such as mayor and a representative in the Territorial Legislature. For his church he served missions in Europe and was also a bishop, stake president and stake patriarch. 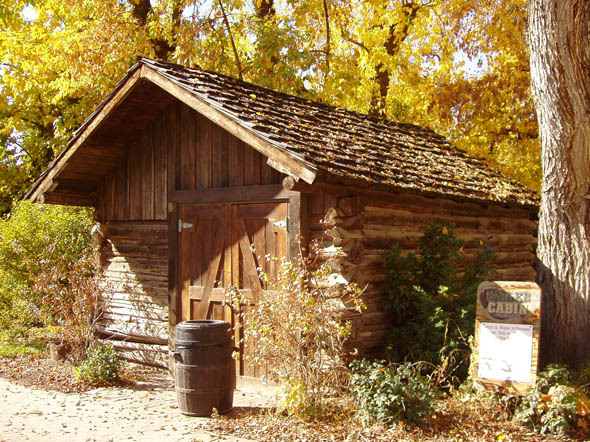 His old cabin was acquired for the original Pioneer Village in Salt Lake City where it sat next to the Smokehouse and Schoolhouse. Today you can find Jacob Bigler’s cabin on the north end of Pioneer Village at Lagoon near the Town Hall, Prison and Gingerbread House. Jacob G. Bigler, Sr. The Bigler Family. 2 Aug 2008. 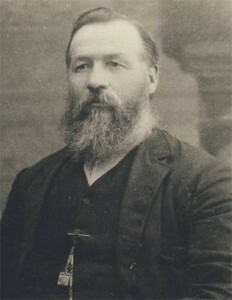 Wilson, Pearl D. Nephi. Utah History Encyclopedia, accessed 19 Jun 2014. Lots of Biglers in Payson, descending from the Nephi settlers.